We bring forth for our clients a wide array of Electric Capacitors which is widely used in the single phase electric motor that requires a capacitor in order to boosts the performance of the motor while running. As well, offered range is reckoned for acquiring low noise and minimum maintenance cost. Besides, quality material is used in manufacturing this range which sourced from the trusted vendors. Also, our range is available at market leading prices. We are one of the celebrated manufacturers, exporters and suppliers of Double Dielectric Capacitor that can be availed at reasonable rates.Specifically designed and developed at our end, these capacitors are widely utilized for low frequency applications. 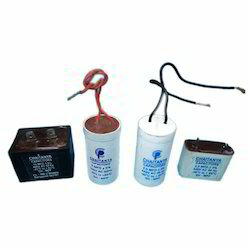 Known for their reliable performance, the proffered capacitors are highly demanded. We are involved in the manufacture, supply and export of a massive collection of Double Dielectric Capacitors. 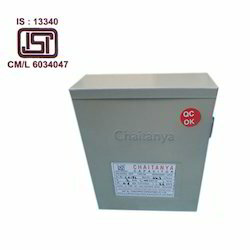 Eco friendly and tough in construction, the proffered capacitors are highly appreciated for their reliable performance. Available in a diverse range of specifications, the provided selection is examined for its flawlessness before the final send off. Fan Capacitors are manufactured in accordance with the preset industry guidelines to ensure durability and tough construction. Used for enhancing the speed and performance of the fan, these efficient capacitors are widely famous among our clients. 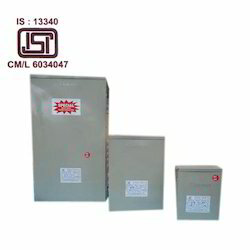 Offered capacitors increase the amplitude in positive direction of alternating current. 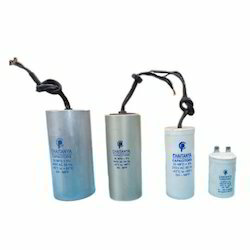 We are concerned with the manufacture, export and supply of specifically designed and developed Motor Capacitors that can be availed in different specifications. Owing to the low watt loss, reliable performance, rugged construction and compact size, these efficient capacitors are extremely popular. Motor capacitors are provided in standardized packaging. Looking for Electric Capacitors ?